Intel has signalled that it will discontinue the sale of its so called Core+ desktop products, with no further orders to be taken after 30th September 2019. The news comes via a product change notification (PCN) unearthed by Tom's Hardware (TH). 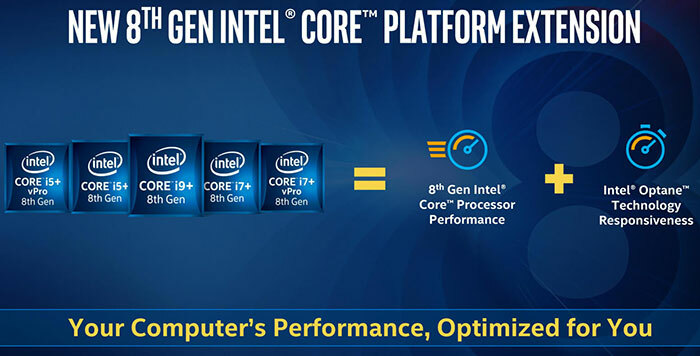 There were just three Core+ bundles for consumer desktops, which combined an Intel 8th gen Core processor plus a 16GB Optane Memory stick, and all are to be discontinued. You can see the PCN below, which lists the affected products as the Core i7+8700, i5+8400, and i5+8500. Sadly for Intel the added value plan was a flop. 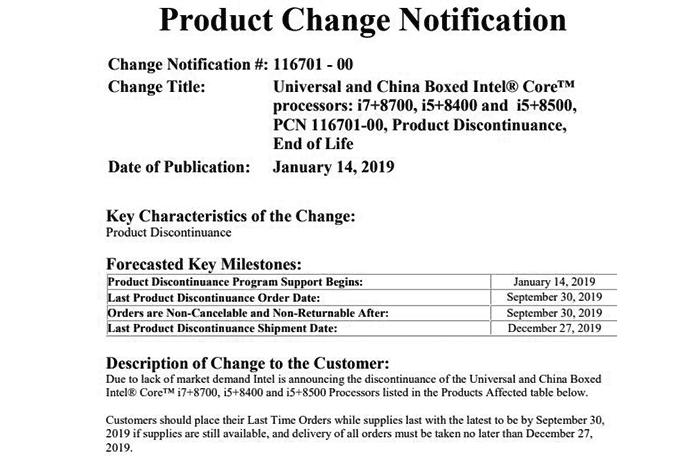 In its own words "Due to lack of market demand Intel is announcing the discontinuance of the Universal and China Boxed Intel Core i7+8700, i5+8400, and i5+8500 Processors listed". As further background to the decision, TH reminds us that Intel and Micron ceased joint development of 3D XPoint memory (the memory tech behind Octane) last July. Intel has the right to continue to produce 3D XPoint independently and is likely to keep producing devices using it - but not the aforementioned bundles. Didn't even knew there was a bundle like this, wow no wonder they did this. Is that what the F stands for - “Fewer Features”?